Amazon Simple Notification Service (SNS) is a fully managed, highly scalable service that facilitates message delivery using a publish/subscribe model. SNS supports several transports, such as HTTP/S, SMS and email, and can deliver push messages to multiple recipients at once. SNS is often used to push messages directly to other supported AWS services, such as Lambda or Simple Queue Service (SQS). 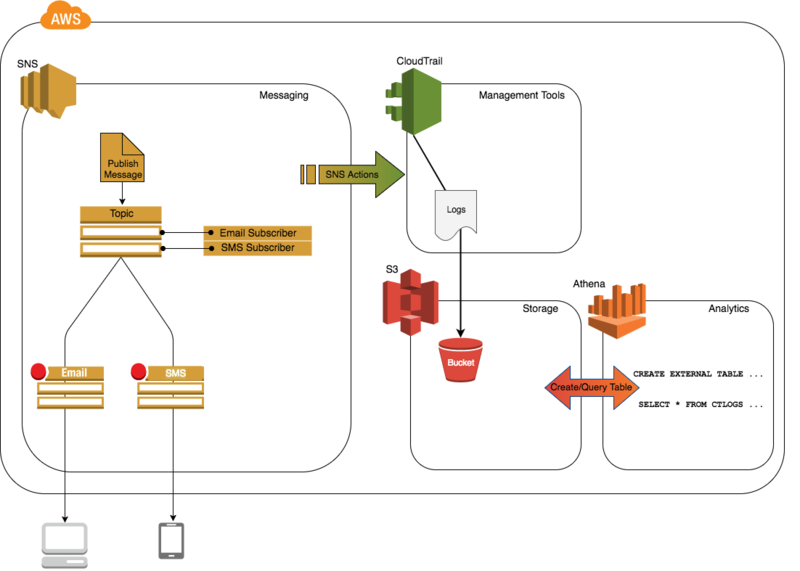 SNS is integrated with AWS CloudTrail so that SNS actions are captured, logged and delivered to an S3 bucket.